SABMiller subsidiary Southern Sudan Beverages (SSBL) is investing $15m to expand production capacity at its two-year old brewery in Juba. The South Sudan brewery was built in 2009 at a cost of $37m and has now reached full capacity, driven by the popularity of beer brands like White Bull and Nile Special. The decision to invest further in the Southern Sudanese operations is a sign that SABMiller is optimistic about the prospects for peace and economic development in the region. In January, the Sudanese people voted in favour of independence for the South as part of a peace deal that aims to bring to an end years of conflict in the country. Following the vote, South Sudan will become an independent country in July. Ian Alsworth-Elvey, managing director of SSBL, said the outlook for Southern Sudan is positive. 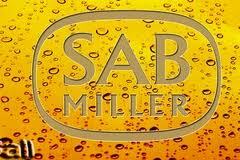 Following the latest investment, SAB Miller said brewing capacity at its Juba plant will increase to 500,000 hectolitres (hl) by November 2011. This will support the continued development of existing brands and give the company the flexibility to introduce new brands to the market. In addition to its beer business, SSBL has grown its soft drink operations in South Sudan. Carbonated soft drink capacity has expanded from an initial 60,000 hl to 320,000 hl in the Juba brewery on the back of the growth of its Club Minerals Sparkling range and Source Pure Drinking Water.